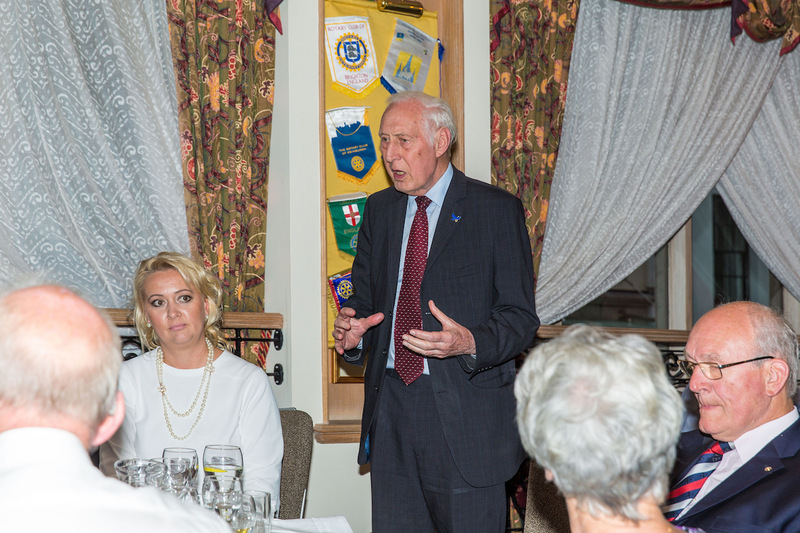 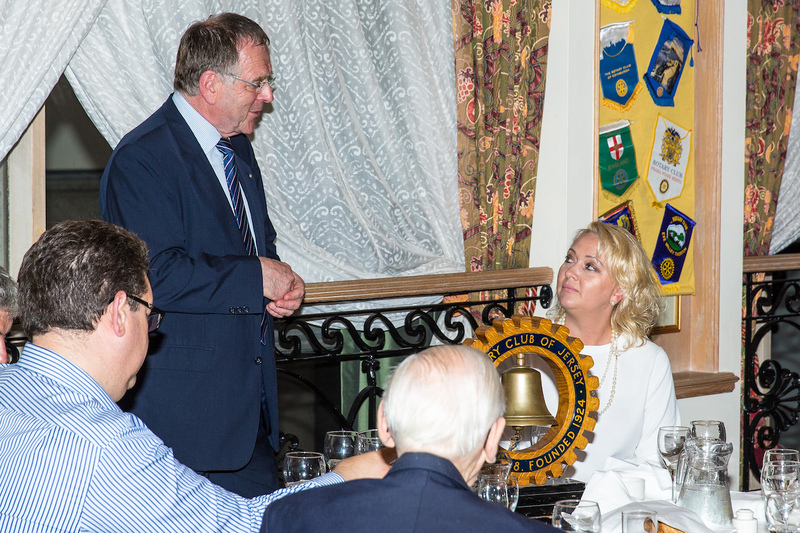 Rotary welcomes Magda Chmielewska Honorary Polish Consul to Jersey and presents the Graeme Le Quesne award to Dave and Betty Ellis. 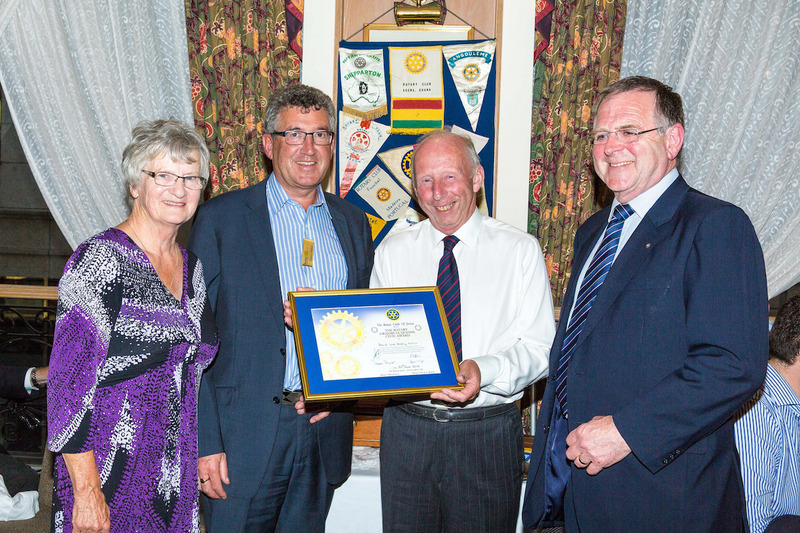 At a well-attended meeting President Roger and Immediate Past President Eamon presented this year’s Graeme Le Quesne civic award to Dave and Betty Ellis. 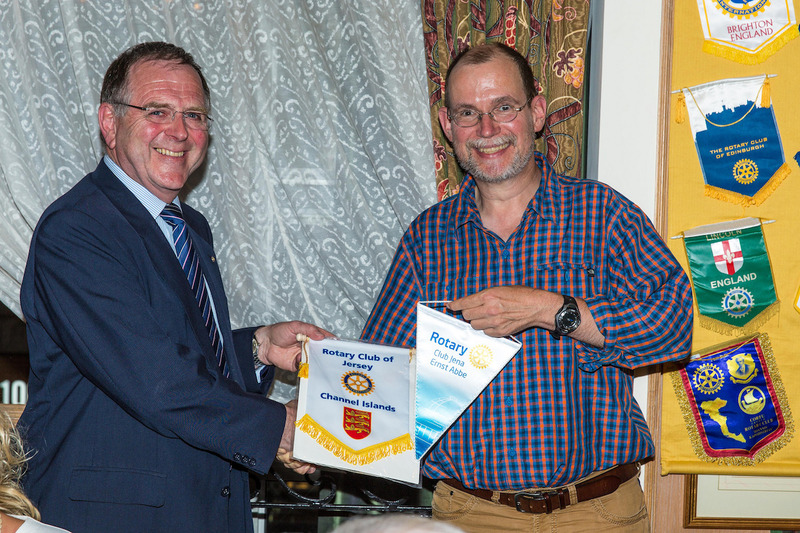 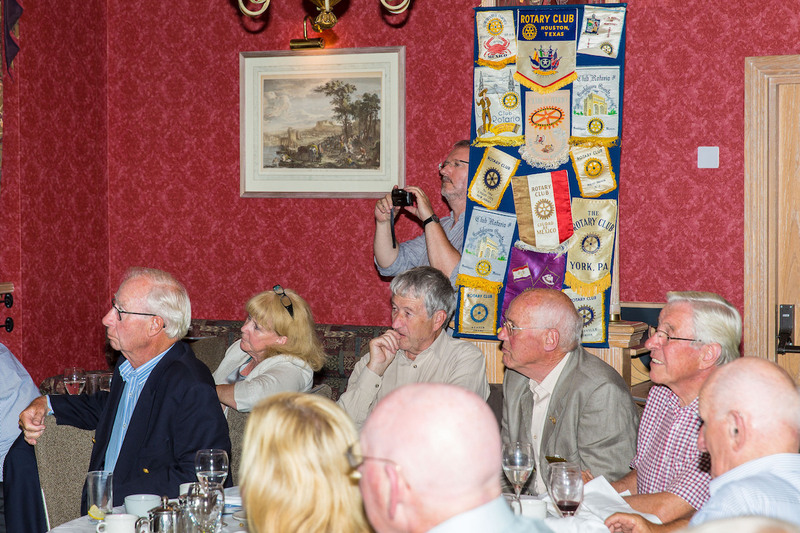 This is the first time that the award has been given by the two island Rotary clubs for overseas service and the award citation was read out to the club by Allan Smith. 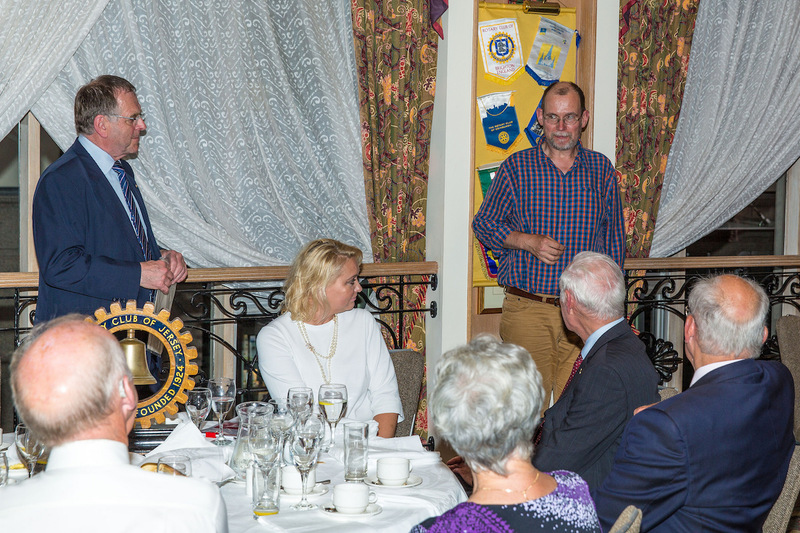 Both Dave and Betty have given years of service in support of overseas projects with Dave leading nine overseas aid projects and Betty supporting six as the no two. 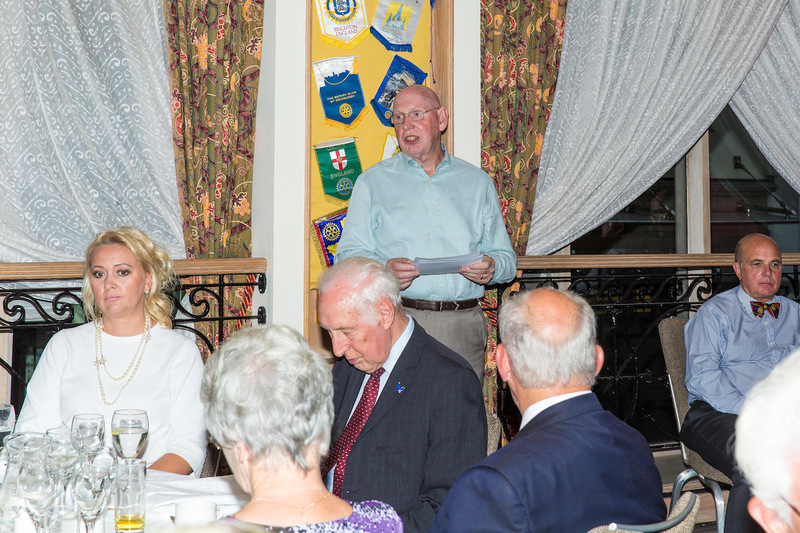 Clearly both touched by receiving the award both Dave and Betty thanked the club for the support it has provided since 2009 on many of the projects that they have been involved in. 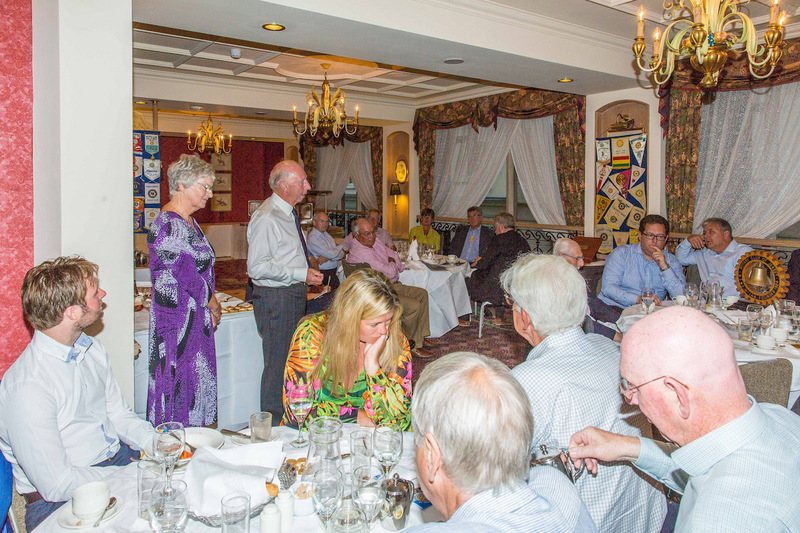 The club then heard a very informative and passionate insight from Magda Chmielewska the Honorary Polish Consul to Jersey in which she gave an insightful view of both her background in coming to Jersey, how she and the Polish community have integrated successfully into the community and the role of the Honorary Consul. 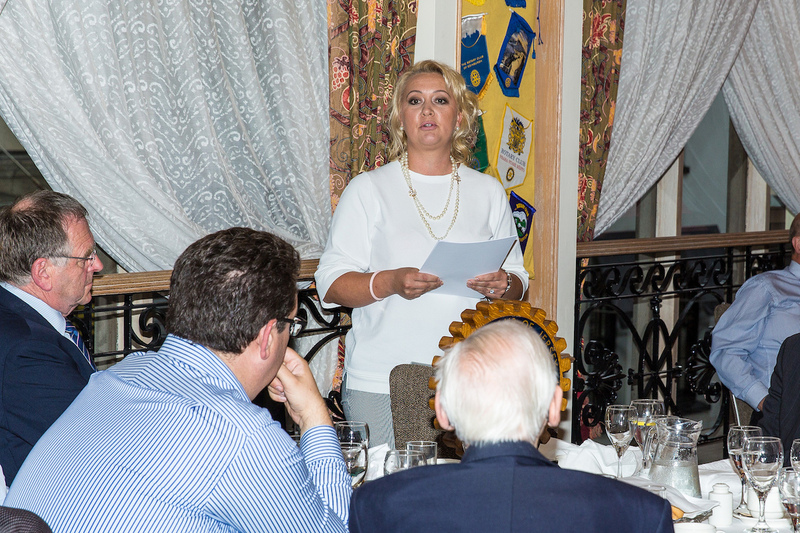 Having first arrived here in Jersey back in 2002 and working in the hospitality industry to support her university education Magda has now made Jersey her home and now runs 2 successful businesses, a busy home as well as serving in a very busy and important role as the Honorary Consul for the Polish community, which now stands at over 6,000. 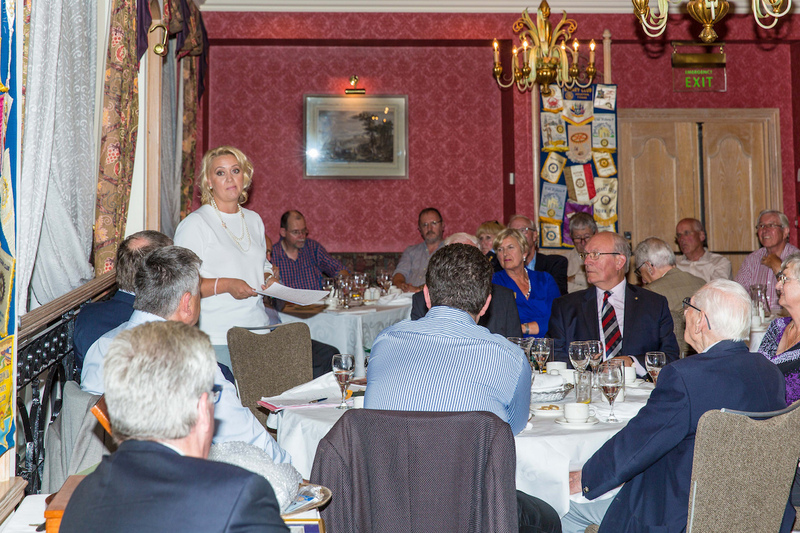 Magda explained that the projects she is working on were to encourage further integration and understanding between all the communities living and working here in Jersey and updated on two specific projects, the first being the Polish Community and Cultural Centre that is to open shortly in St Helier and a possibility of Jersey looking to Twin with a town in Poland to allow the fostering of better relationships between the two communities.